The Pebble smartwatch receives a lot of praise for its functionality, but its looks could be better – imagine if it had a stainless steel casing and Gorilla glass, with a metal wristband to boot. As it turns out, this might be less than a month away from reality as the smartwatch leaked in photos, presumably shortly before its official unveiling at CES. 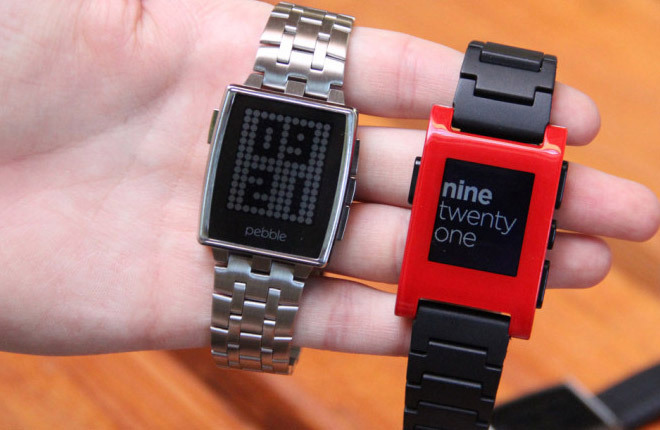 According to the rumors, the Pebble Steel watch will come in two color versions – brushed steel and matte black. Aside from the metal casing, you’ll also have a choice between metal and leather wrist straps. While it’s perhaps not the prettiest watch, this could be one of the best-looking smartwatches. 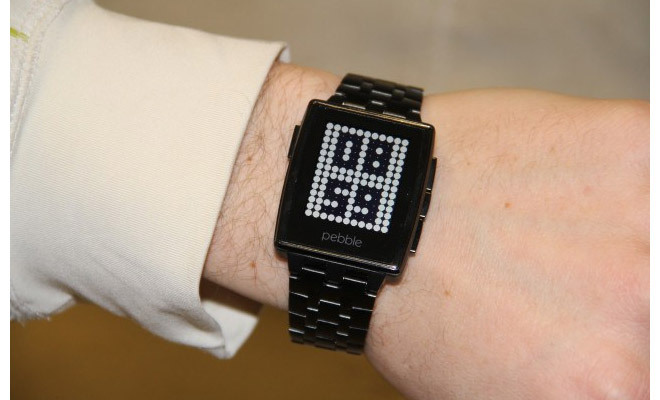 The Pebble Steel will retain the functionality of the original Pebble, including the water resistance. Those features are quite enough (read our review for details), it really was the aesthetics that didn’t sit well with us. Keep in mind that the metal version will be pricier – the rumored price is $240 when it launches at the end of this month (the original model is $150). The teaser image Pebble released a few days ago (complete with a brushed metal background) promises something special will be announced today with a live stream at 11AM PST, so the Steel should go official pretty soon.